We like to think that children's lives are serene and full of play. Today's children, however, experience almost as much stress as adults. And, teenagers experience even more because of the biological and emotional changes their bodies endure. Like adults, children feel stress from outside sources, internal perceptions and biology, major life changes, world concerns, new experiences, changes in routine, and their parents' own stress. From the moment that children come into the world, they are challenged by their very own bodies. Sometimes their minds grow faster than their physical abilities or vice versa. They feel frustration at not being able to do some things because they are physically too small or don't have well enough developed motor skills. Though some stress is good to challenge the body and mind, too much stress or this kind of stress in combination with other stressors can produce trouble. Children feel stress because they set their goals too high or they assume others expect certain achievements from them. They also feel stress from their own perception of themselves. This is especially true if a child is very small and can't play sports as well as his or her peers or if the child has a disability or is clumsy. Also, children often feel that some body part is too big, too small, too ugly, or somehow not good enough. This comes into play in early adolescence, but can appear earlier. Children also feel the challenges of learning new skills. This can be difficult for some children because everything they experience is new. One of the biggest stressors for children and teenagers is new experience. This can include learning new skills such as taking a new subject in school, testing for a different skill level in an extra-curricular activity, moving up to a different skill level in an extra-curricular activity, learning to ride a bicycle (or a skateboard, sled, ski, etc. ), learning to drive, or driving a different car. 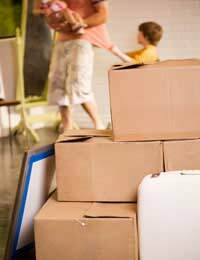 Children also feel stress when they move to a new town or a new area, start a new school, or move into a new house or flat. Stress also comes from outside sources. It can come from teachers, new subjects in school, and the pressure to achieve. It can come from trying to make friends or keep them, as well as enduring changes in friends. Extra-curricular activities, lessons (even for activities they like), and sports can bring stress, especially if there is a heavy emphasis on competition. Bullying and teasing can be a problem. It can be especially troublesome if children feel that their clothing or appearance makes them different. Children also feel stress from parental expectations, from rushing and being late, and from over-scheduling. Some children have to care for younger siblings, get them up for school, and do cooking and laundry because of parental illness, work schedules, or drug or alcohol use. Children can feel stress from just being separated from their parents or a regular caregiver. They feel stress with new pets or even from holidays and birthday parties. In addition, teenagers feel the stress of peer pressure and dating. And, they can feel stress from juggling work and school. Young children can feel stressed when they have a different caregiver at home or at a daycare provider. Children of any age can also feel stress when parents aren't regularly available because they work different shifts. Parents who are late picking children up after school or activities can be the cause of stress. Children can feel abandoned or be frustrated that they aren't getting to do the things they need to do or want to do. Also, children can feel unsafe if they have to wait for their parents without supervision. Children also can experience stress if they overhear their parents argue. They can feel added stress if they hear their parents express their own worries about finances, problems of other children in the family, the illness of a family member, stresses on their jobs, or helplessness about parenting. Though children have no control over these areas in adults' lives, they often internalise their parents' stress and make it their own. Often, children feel that they are the cause of their parents' distress. Obviously, children feel stress when they go through major life changes such as puberty, the divorce of their parents, or the death of a pet or a loved one. They also experience stress when there is an illness of a parent, sibling, or friend, or they themselves are ill. They can also experience stress on happy occasions such as going from junior school to highschool or having a new brother or sister. Since September 11, we all have not felt as safe in the world as we once were. Children also feel afraid that terrorists or some natural disaster could affect their city or even their homes. Though children may not express it well, they do feel this kind of world stress. They also may not feel safe because of increased crime and violence. They may be experiencing the stress of being unsure their schools are safe. Though the presence of police and security guards inside schools and on school grounds is supposed to make them feel safer, children may indeed feel more stress just seeing the officers every day and being reminded of why they are there. Children can also feel extreme amounts of stress if they witness or experience abuse in the home or there is drug or alcohol abuse present. Children, like us, are bombarded by any number of stressors every day. They, too, need to learn to manage their levels of stress.